Ana Tršić-Babić is the Deputy Minister of Foreign Affairs of Bosnia and Herzegovina. She headed the Project for Media and NGO Development in Bosnia and Herzegovina in 1995/96 and Project for Media and NGO Development in Bosnia and Herzegovina 1996/97. 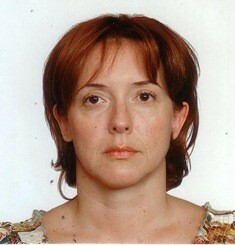 She assisted the Head of the OHR Political Department in Banja Luka and was a Counselor for International Relations. Her government career began in 1999, at the Office of the President of the Republic of Srpska Government. In the years 2001-2007 she was Assistant Minister for Bilateral Relations at the Ministry of Foreign Affairs of Bosnia and Herzegovina, and since Febrary 2007, Deputy Minister of Foreign Affairs of Bosnia and Herzegovina. In January 2012 she was made Chairperson of the NATO coordination team of the Council of ministers of Bosnia and Herzegovina. She holds degrees in Law and National and International Security from Schiller International University and Harvard Kennedy School. She speaks English, German, French and Russian language.